Recut (pirated?) 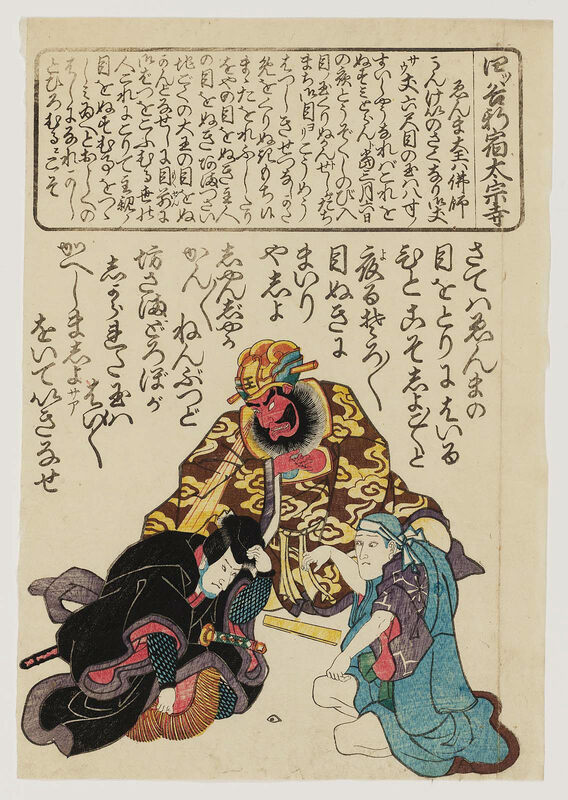 editions of a design by Utagawa Kuniteru. On the 6th day of the 3rd month, Kôka 4 (1847), thieves entered the temple and attempted to pry out one of the crystal eyes of the image on Enma. According to rumor, they were foiled by Enma himself.